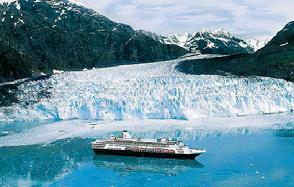 We invite you to experience an Alaska cruise that only Princess can show you. We offer a range of enriching cruise options to see the Great Land's glaciers, wildlife and national parks from the perspective of spectacular ships, exclusive rail service and Princess-owned wilderness lodges. Come find yourself in the heart of the wilderness and let Princess show you the way.